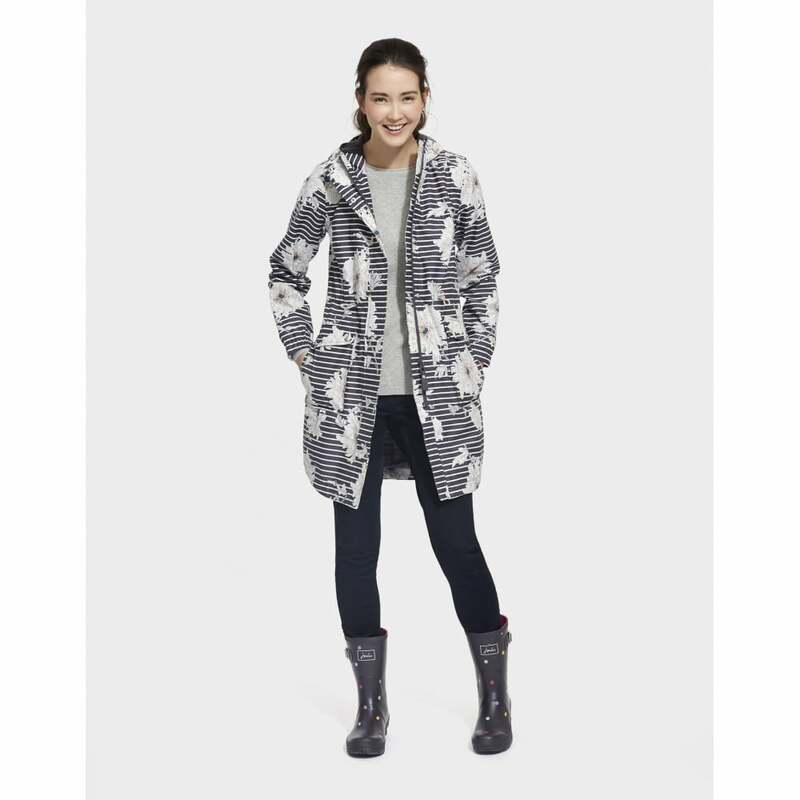 Part of the "Right as Rain" collection this parka-style rain coat is sure to keep you warm and dry during any rainy spells this season. Adjustable waist, hood and elasticated cuffs mean this coat can be shaped to suit you, making it practical as well as stylish. A fleece lined hood will also keep you extra cosy in the colder months. A unique Joules print means this really is an eye catching piece to add to your wardrobe.